It seems like the FDA wants to put warnings on everything. The drug du jour seems to be propoxyphene. It's another pain medication used in Darvon and Darvocet. CNN has a short segment quoting Dr. Janet Woodcock, director of the food and drug agency's Center for Drug Evaluation and Research. "Physicians need to be aware of the risk of overdose when prescribing these drugs... They should carefully review patient histories and make appropriate treatment decisions based on the warnings and directions stated within the drug's label." When will all these warnings end? Maybe after every single drug has some type of serious warning associated with it. 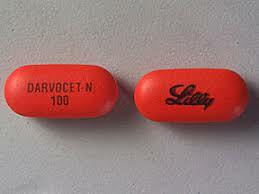 Darvon and Darvocet are made by Xanodyne Pharmaceuticals Inc. of Newport, Kentucky. Read the CNN story here.